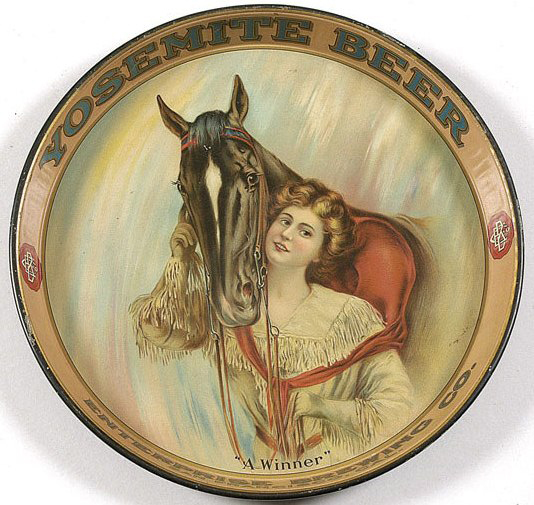 Serving Tray for Yosemite Beer from The Enterprise Brewing Company out of San Francisco, California. In the center it shows a beautiful woman standing in front of a horse. This tray has great appeal for collectors who like horses or pretty ladies and this pre-prohibition tray can be very valuable so get in touch with us for a quote or appraisal.